Nowadays iPhone Airpods users are frequently facing disconnecting calls problem.When they are on a call with a person their calls gets automatically disconnected. The problem seems to occur when the users are using their AirPods for making the call. So if you are also facing the same problem and want to get rid of it, then here are a few tricks which you can try to fix AirPods call disconnecting problem. 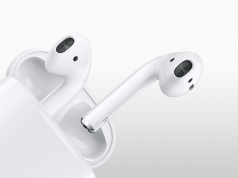 Since this AirPods are brand new and the technology used in it also new, there is not much known about this problem, but there are a few workarounds which you can try to overcome call disconnecting problem in Apple AirPods. Follow the methods shown below to be able to resolve this issue. At times the problem could be nothing but a restart away from being resolved. Try this to fix AirPods dropping calls issue. Step 2: Now slide down the red slider to Power off. Step 3: Once the device is turned off, press and hold Power button again until you see the Apple logo. The very first method you can is to turn Bluetooth off and On again. At times, it could be a temporary problem and simply restarting the Bluetooth service can fix it. Step 1: Unlock your iPhone and Go to Settings. Step 2: In Settings, Go to Bluetooth. Step 3: Now turn off Bluetooth. Step 4: Wait for few seconds and then Turn On Bluetooth again. Once done, connect your AirPods to your iPhone and make a call to know if the problem is resolved. If the given method didn’t work for you, then try resetting network settings on your iPhone. Step 2: In Settings, Go to General. Step 3: Now click on Reset. Step 4: Click on Reset Network Settings. Step 5: Enter password if requested. That’s it. You will successfully reset your network settings. See whether the disconnecting problem has gone away. If not then try our next method. Nope, we aren’t asking you to give up on your AirPods but you can try forgetting your AirPods in the settings, in order to resolve this problem. Step 3: Now click on blue circled ‘i‘ symbol. Step 4: Now select Forget this Device. Step 5: Now reboot your phone once. Step 6: Now repair and reconnect your AirPods to your iPhone. Check whether the disconnecting issue is resolved after this. Try changing outputs and inputs on your Mac. Now if you are pairing your AirPod with the MacBook, then try this. Step 1: Go to System preference. Step 2: Now select Sound. Step 3: Now turn off the Automatic Ear Detection. In case the issue occurs when using the AirPod with Apple Watch, you can try unpairing your Apple watch from your iPhone. Some of the users have found that unpairing Apple watch from their iPhone solved this disconnecting issue. So if you use an Apple watch and you have paired it with your iPhone, then try unpairing it. Who knows it might also work for you. If any of the methods did not work in your favour, then you can try restoring your iPhone. Restoring your iPhone may resolve this disconnecting calls problem. Note: Restoring your iPhone erase everything from your device, so it’s better to take a backup of your iPhone. Try all or one of the workarounds given above and see if that resolves the error. 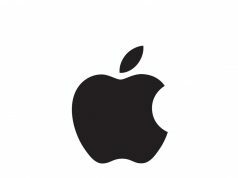 If you are still facing this problem, despite trying all the methods, then it’s time to go to Apple care. They may fix this problem successfully after the inspection, if the reason seems genuine, they may replace your AirPods with a new pair of AirPods. Do let us know your thoughts in the comments. Also, don’t forget to add any alternative fixes that have worked for you but we haven’t mentioned it above.